I see a great future for the Spanish wine business’ use of big data analysis to address our issues in market communication, marketing their wine, and taking advantage of the tools offered by new technologies. Early adopters will lead the change – that is without a doubt – and government agencies will lead the transformation of reluctant producers and organizations with research and development programs. 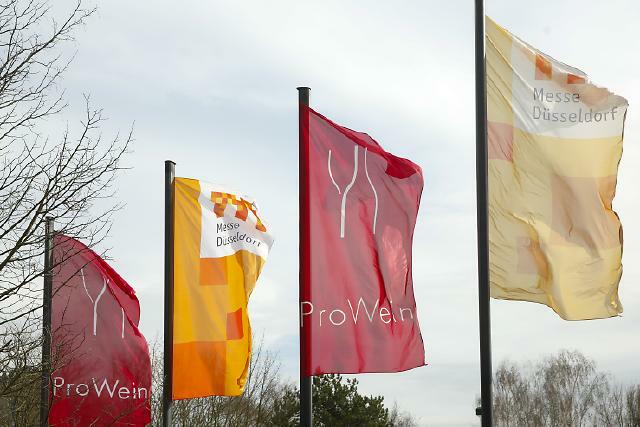 There were three occasions during ProWein when this became clear. In speaking with Cathy Huyghe and ICEX, I saw that ICEX has a clear understanding of what comes next for new technologies that are entering the wine business. They are aware of the significant changes of technology and the speed and capacity of new sources of big data that are being used by early adopters in Spain, in order to understand and analyze consumer sentiment, preferences and behaviour when buying wine. ICEX understands that the jump forward in market intelligence through big data analytics offered by Enolytics is significant, and that it offers a fresh perspective and alternative to traditional market studies. In speaking to CEOs and other executives who showed an open mind to our proposition, I saw that big data today is like the internet of the 1990s. They believes that data can fill a blind spot about wine consumers, which can provide them with a great competitive advantage. The physical gap between wine producer and end consumer is enormous. After delivery of the wine to the importers in the world markets, in general, Spanish wineries lose control and insight of how, where and at which price their wine is marketed. Enolytics may put light there and deliver valuable information to the winery and the distribution network that will compel better communication between the wineries and their importers and distribution network. Filling this lack of communication could optimize the business of all the parties involved, using a win-win strategy and providing greater control of the commercialization of their wine in any market. Another blindspot for wineries is the use of consumer language. Little attention has been given to how consumers themselves actually speak – what they would really like to read on the back labels, for example, what mottos would be appealing to consumers, which words consumers use to describe their wine or their competitors’ wines. Messages are sent only in one way, from the winery to the markets, but it is rare to follow serious analysis of consumer feedback or the specific wine language that is used. Some Spanish wineries have realized that “being the best wine” isn’t enough of a value proposition to differentiate themselves from every other Spanish winery who markets themselves as “being the best wine.” Adapting the wine's style, its brand, label, marketing and commercialization towards the consumer's sentiment and behaviour is a great turning point. Big data analysis instead would deliver them quick information, even in real time or even further as predictive analysis. Trusting new technologies like big data analysis is a hard matter in the Spanish world of wineries. Proof that it really works is a common argument. We have initial case studies, and we have early adopters. Now is the time to keep pushing forward, so that data can be an integral part of the exciting evolution of Spanish wine.